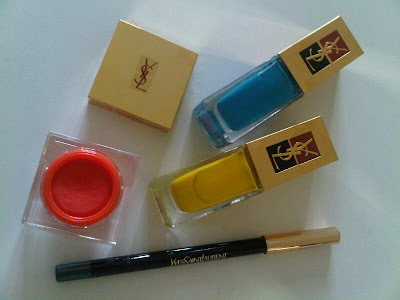 There have been a lot of summer collections launching over the previous months, but the fruity and bright collection from YSL has to be one of my faves. I’m a lover of all things bright and bold so these are right up my street and perfectly on-trend to match those palato pant things we’re supposed to be wearing. The collection consists of two vibrant nail polishes in a beautiful blue and striking yellow/gold shade that will have you moving from desk to date to beach to bar. 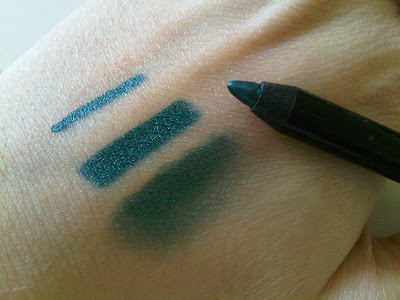 They apply like a dream and you can get away with only one coat as the formula is thick enough to cover lumps and bumps. The polishes do chip easily, like a lot of other premium brands, but this is forgiven because of the beauty they bring to my talons. 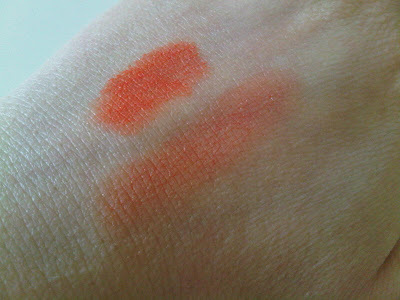 The collection also consists of an amazing cream blush in a stunning orange shade. Orange blush you say? Don’t worry, this won’t have you looking like a TOWIE extra, but adds just a hint of colour that perfectly complements a slightly tanned tone. Maybe not one to use before the beach, but definitely one for after. The formula is possibly the smoothest most beautiful thing I have ever felt between my fair fingers (me, exaggerate?) and melts into the skin so well. A teeny amount goes a long way so this is one product you can invest in and use sparingly. Oh, I love the blues ! amazing. I LOVE the blue polish! gorgeous! !